On Saturday, I had the chance to check out Citizen Pilate’s new studio on Heights Boulevard. After having a “like” affair with their Instagram account for the past few months, I was excited for the stars to align with my travel schedule to make it possible for me to finally get to check out the studio. Their original location is on Houston Ave in the First Ward, but the new studio just opened up on Heights Boulevard and 10th Street. It’s a pretty underwhelming store front and if you didn’t see the sign on the post you probably wouldn’t notice the windows. Once inside, it’s a pretty intimate affair. There is a sign in desk and accent wall made of reclaimed wood (all the hipsters rejoice), a wire rack to store belongings, a wall made of mirrors and 7 reformer machines. 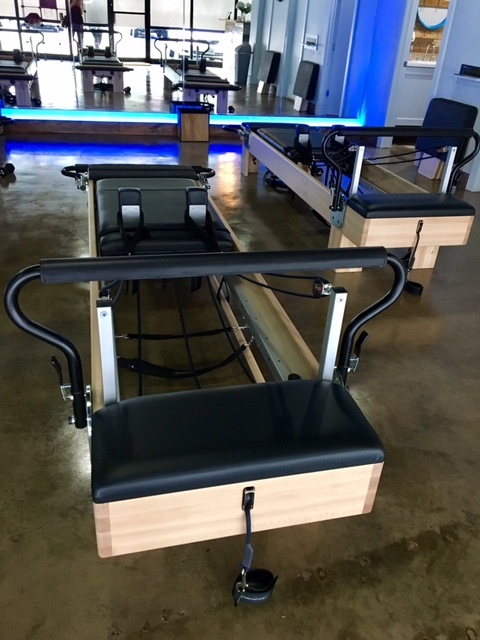 If you’ve never been to a pilates class before, the reformer machines are a total game changer to your workout. It consists of a stationary platform and a moving carriage that can be adjusted for tension and resistance with a variety of springs. This contraption is used to create instability and ensure that even the simplest lunge or bicep curl adds that extra level of edge to your workout. I’ve done 10 or so classes before at Defy Pilates (read my review!) down the street on Heights Boulevard, so I’m fairly familiar with the format of how a pilates class is structured. Everything is timed in segments of 30-60 seconds depending on the activity. You do lots of lunges and squats with toes raised sliding the carriage open and closed while keeping one foot on the stationary platform. There’s some arm work using the straps and occasional weights, and always a good abs session. Planks on planks on whole body shaking planks. Since I’ve been to a few pilates classes, I found the class to be pretty underwhelming and would have liked more of a challenge. However, since the studio just opened there are lots of beginners and newbies signing up for classes, so I anticipate that most of their classes will be targeted at beginner level until they gather a core group of returning studios (I found the same pattern to be true at Defy Pilates). In a month or so, I forsee the classes ramping up a bit more once a baseline of ability is established. If you’re looking to get into pilates or try out a class, this would be a perfect time to go! 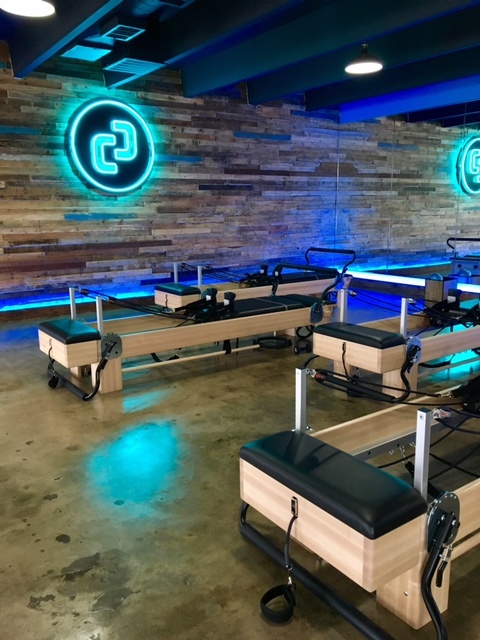 The instructors are especially vigilant for first-timers and will structure the class to ensure that you get a good work out but don’t fall off your reformer machine in confusion. 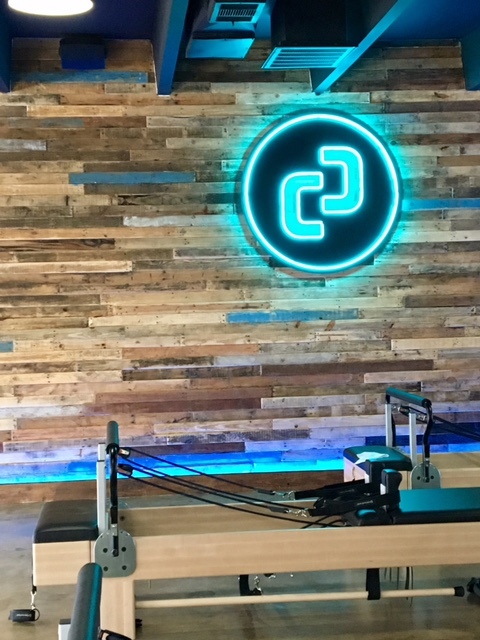 Your first class is $10, PLUS throughout the end of the year you can get a package of $14 reformer classes (that’s over 50% off) to get yourself started…new years resolution any one? 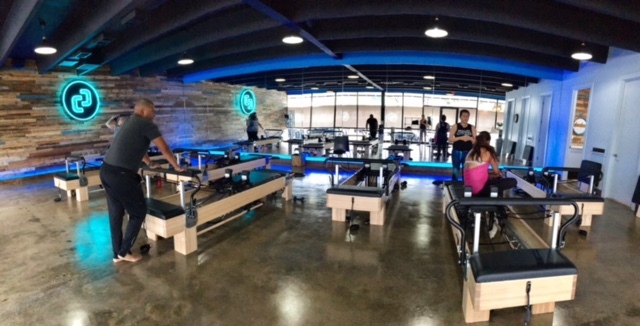 Tags: Citizen Pilates, fitness, Heights Boulevard, Houston Heights, northside, Pilates, reformer, The Heights. Bookmark the permalink. Great meeting you Anastasia! Very much appreciate you joining us for Tidbits Front Row opening day. It’s true – I taught at a basic level since free classes tend to attract a very beginner crowd. If you get a chance to take a second class at Citizen, I think you’ll find our intermediate classes a much more challenging workout. Our new storefront awning is on its way – being in the historic district requires so many neighborhood committee approvals! 😉 I’m happy to have given your abs a sufficient burn! Can’t wait to have you back! Nice! Thanks for sharing! Love Pilates too!